We found out if the trend is a myth or miracle. It's not going to do as much as we'd hoped. One quick look on YouTube or Instagram will tell you that lemon water or apple cider vinegar (aka 'ACV' because that's fancy) has miraculous healing powers. From aiding digestion and detoxing the body, to giving you shiny hair and making you look five years younger (okay, we made that last one up), lemon water and ACV are the Victoria's Secret angels of the health obsessed. Jokes aside, does lemon water or apple cider vinegar really help with digestion and detoxification? To find out, The Huffington Post Australia spoke to senior lecturer in pharmacology at The University of Adelaide, Ian Musgrave. This routine involves drinking a glass of warm water with at least one teaspoon of lemon juice and/or ACV before each meal (in particular, breakfast) to help 'kick start' your digestive system. Unfortunately, there's no scientific evidence to prove this actually works. 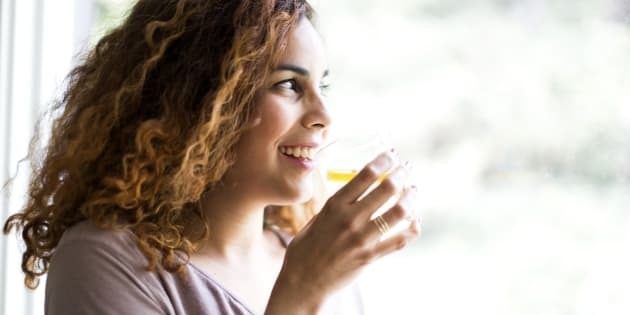 "There is no evidence that apple cider vinegar or lemon water -- or a combination of these -- will do anything for digestion or indigestion," Musgrave told HuffPost Australia. "There are many causes of indigestion. Quite often indigestion involves excess acid, possibly irritation of the stomach lining, and occasionally ulcers and gallstones. "With several cases of indigestion, the root cause is stomach acid getting where it shouldn't be or excessive exposure of parts of the stomach to acid. Adding more acid to existing acid is not going to do anything, but it's probably not going to make it worse." Even if there are digestive benefits of drinking lemon or ACV, Musgrave added that the amount found in one diluted glass would not be high enough to notice benefits. "The typical recipes for apple cider vinegar and lemon water is a teaspoon of each in a variable amount of warm water," he said. "Typically the amount you get is quite small and you're not using enough to affect the pH of the stomach very much." 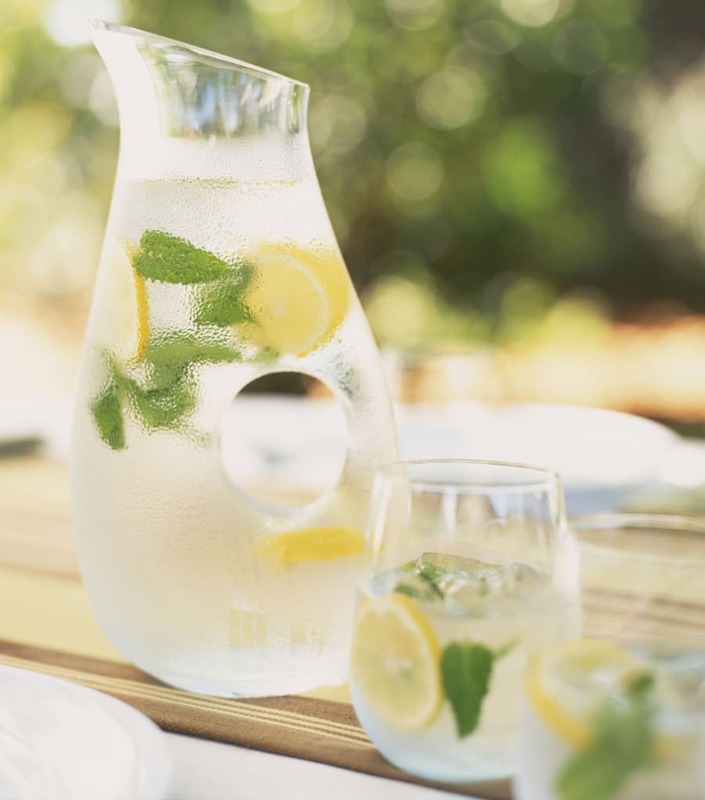 There's nothing wrong with lemon water, just go easy on seeing it as a 'superfood'. It's a comforting thought: you've had a big night out and eaten far too many 3am Maccas fries. No worries, a glass of lemon water will flush out the bad stuff. We wish. "The word 'detox' is a mysterious thing, and 'toxins' is always used but there is never mention of what these 'toxins' are," Musgrave said. According to Musgrave, our bodies do a pretty good job of detoxifying all on their own. "Your body has a really good detoxification system, it's called the liver. It's chock-full of enzymes which take toxins (real toxins), break them down and excrete them," he said. "When you read about apple cider vinegar, it will make a lot of statements along the lines of 'contains minerals, vitamins and enzymes'. In fact, it's got very few minerals, virtually no vitamins and what few enzymes it has are involved in the fermentation and won't survive the stomach anyway, which will happily digest them. None of these will have an effect on how your liver will handle toxins." Let your body do its thing, don't go overboard and watch out for tooth erosion. Musgrave also warns to be wary of the claim 'flushing out toxins'. "People often make statements of apple cider vinegar 'flushing toxins out', but the rate of removal of toxins from your body is related to how effective your liver is and the blood flow through your liver," Musgrave said. "The amount of extra fluid you would get from drinking a lemon 'detox' drink won't change the amount of fluid that's going through your liver. It's not going to make any difference whatsoever." However, if our livers aren't functioning optimally, nutritionist Pip Reed said lemon water and ACV may assist. "Yes, it is true that our liver and digestive system are designed to detoxify itself, however we aren't always functioning properly or at optimal levels, such as those with undiagnosed or untreated food intolerances, those with hormone imbalances, or those who are suffering high or prolonged stress levels," Reed told HuffPost Australia. 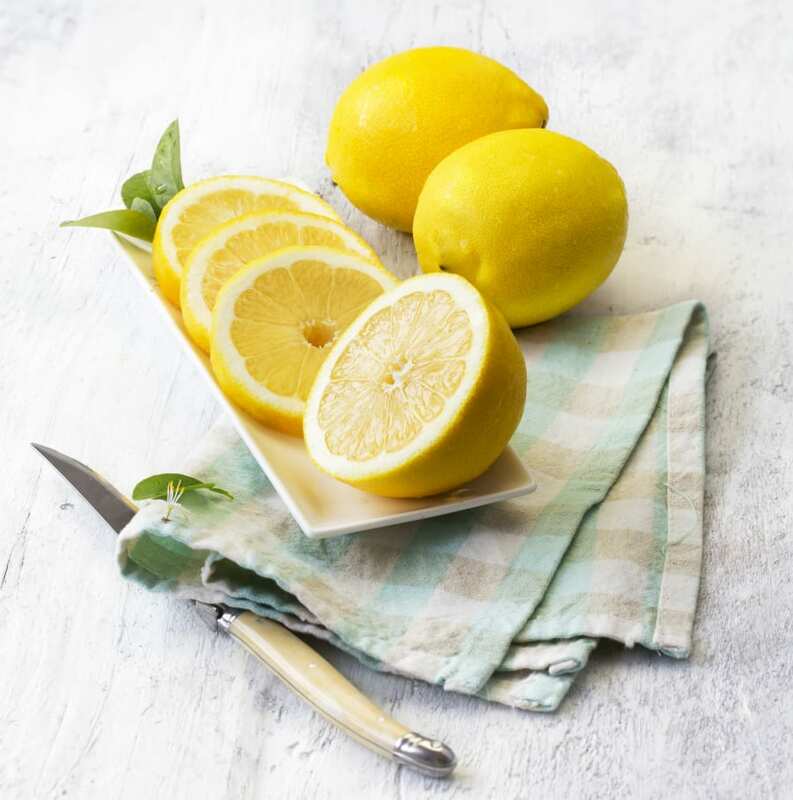 "During these times our liver and digestive system become compromised and reduce their ability to function optimally in order to deal with the stress response, which is why supporting your body in any way with nutrient dense foods like lemons and ACV can, at times, assist this process." When looking for apple cider vinegar, opt for one with visible strand-like chains. This is called the 'mother'. 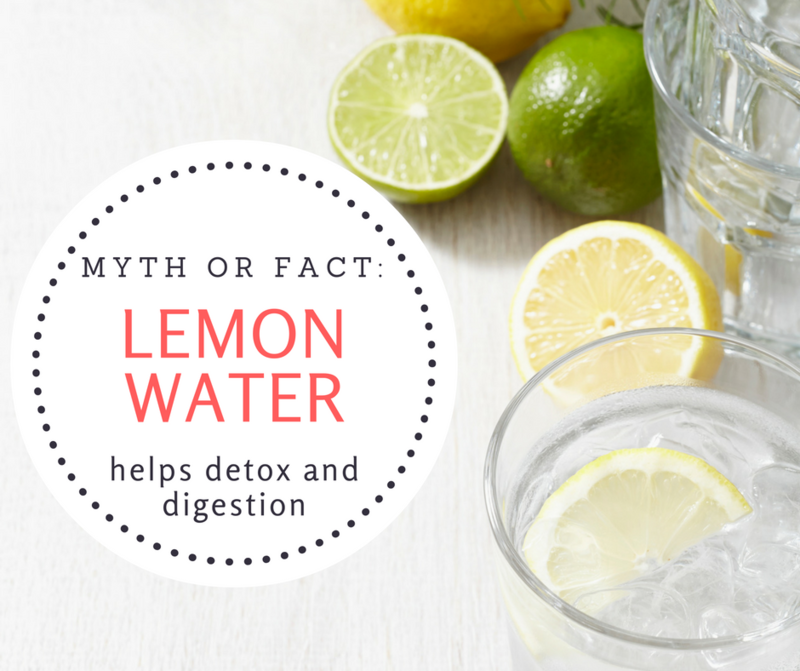 While small amounts of lemon juice may not be effective, Reed does find that lemon water can help improve gut health if more than just the juice is ingested. "There may be a bit more to it that just drinking a slice of lemon in water, which may include consuming more of the lemon, preferably juiced, rind and all," Reed said. "Lemons are high in a fibre called pectin, which is a prebiotic that assists good gut health by feeding healthy gut bacteria. Lemons also contain large amounts of citric acid which can increase urine output and decrease kidney stones as well as aid in digestion." When it comes to apple cider vinegar, which can contain a 'mother' of good bacteria, Musgrave doesn't believe small amounts will have a significant impact on gut health. "If you've got normal gut bacteria and you're drinking a teaspoon of apple cider vinegar, it's not going to do much," he explained. "You can shift things around by seriously changing your gut bacteria, and that's thought to play a role in health, but the impact of the bacteria you're going to get from a teaspoon is apple cider vinegar is marginal at best." 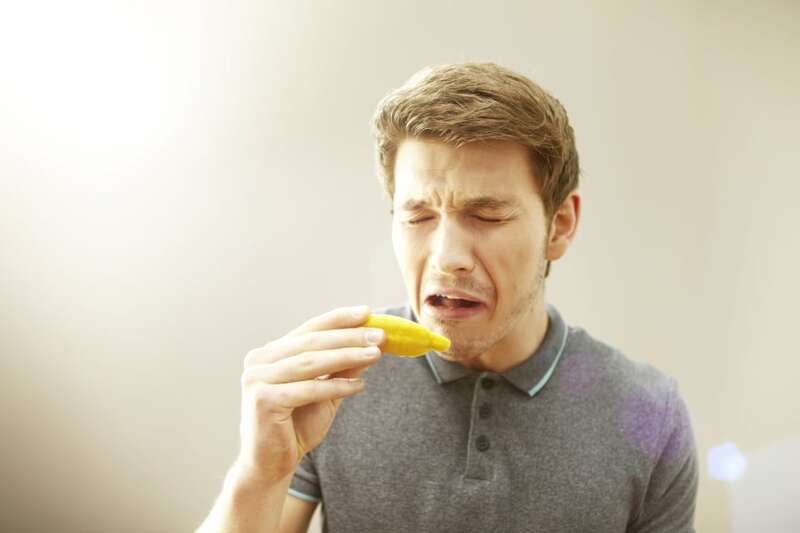 Although sour, eating the lemon flesh would amp up your fibre and vitamin C intake. There are claims that lemon water and apple cider vinegar help to suppress your appetite, increase your metabolism and reduce water retention. However, there is insufficient evidence to prove this. "Drinking a whole glass of apple cider vinegar may alter how you absorb fats from your meal and may have an effect on glucose. However, no one has really shown this to be effective in humans," Musgrave told HuffPost Australia. "There are suggestions that if you're drinking a glass of vinegar with meals it may favourably alter the lipid profile. However, the effects won't be evident with one teaspoon to one tablespoon of vinegar or lemon juice in water. The levels are far too low to do anything." 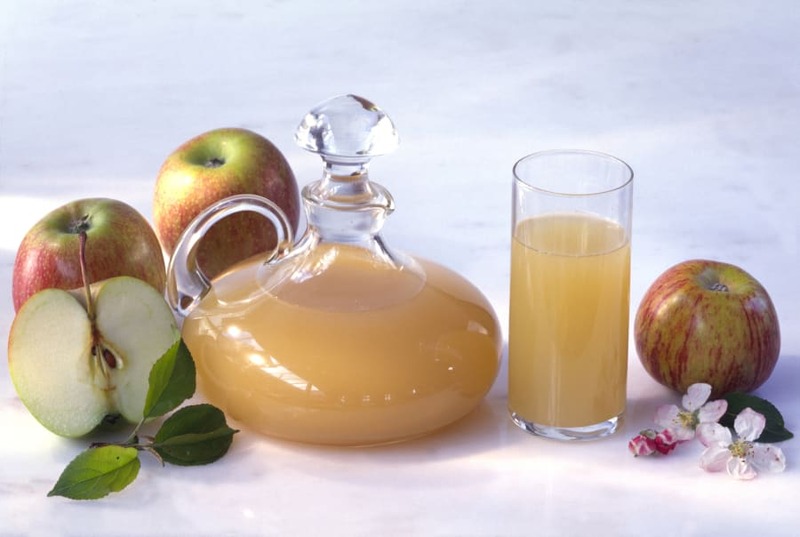 According to Musgrave, drinking too much apple cider vinegar can be potentially risky for your teeth and bone health. 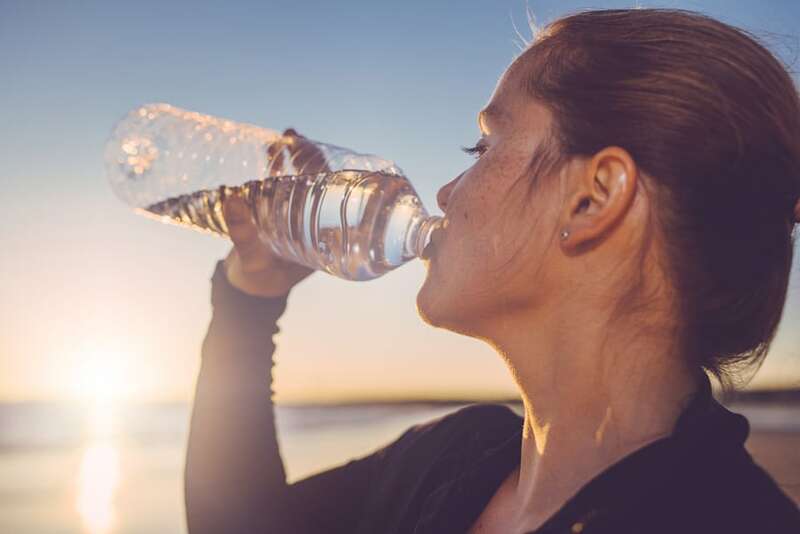 "The downsides are eroding your teeth due to its acidity and leaching potassium out of the body, so it doesn't really justify it," he said. "One of the issues with the cider is that it can reduce your blood potassium, which could possibly have adverse effects and may lead to bone mineralisation. However, with the amount you're taking in the drink, you're looking at a very small amount. The effects that are seen is when you drink a whole glass of ACV." Nothing wrong with plain ol' water. While lemons are a great source of vitamin C, the amount contained in a typical drink (e.g. 1-2 teaspoons in a 500ml jar) is not enough to warrant this claim. "I quite like a warm glass of lemon juice, or putting a slice of lemon in cold water on a hot day is very refreshing. However, although the amount of vitamin C you get is enough to fend off scurvy, whole, fresh fruit and vegetables are far better in terms of vitamins and minerals," Musgrave said. Basically, it comes down to your preferences. If you enjoy lemon or ACV water, go for it, but unfortunately it's not going to be the answer to your health prayers. "It's not going to be a miracle, it's not going to detox you or result in weight loss," Musgrave said. "Let your body do its thing, don't go overboard and watch out for tooth erosion." This story was originally published on 23/08/2016. The bottom line: see lemon as an ingredient, not the one and only health food.